Crappie fishing time here in Bama. I caught a few today on a Bobby Garland “glacier” color jig on 1/16th ounce jig head under a small cork. 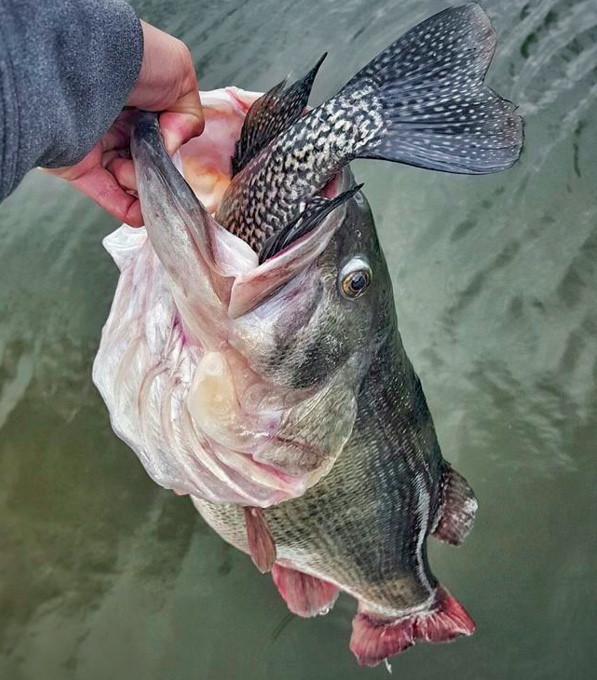 What’s your preferred crappie fishing method? I've caught quite a few on fly rod and tiny whistler (blue is the color for night) on Grainger and L. Georgetown - also from a sailboat anchored overnight in a cove on L. Travis. The boat always drew them up. very good eats and fun photo. Last edited by Ron Mc on Thu Nov 29, 2018 9:26 am, edited 1 time in total. On the oxbow I live on, Crappie move in shallow in the winter. I haven’t ran across any lately, but I haven’t really been fishing for them yet. Balanced jigs are my go to Crappie getters. They seem to work better than woolly buggers. 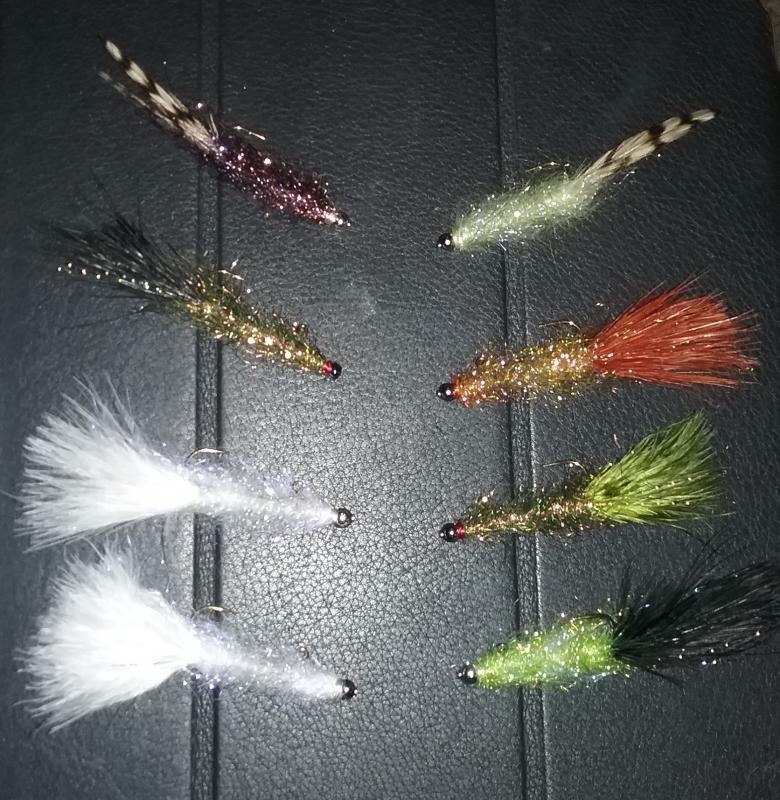 I use Arizona Simi seal for the dubbing and marabou for the tail , colors vary. 90 degree jig hooks, sizes vary and bankers pins for the balanced extension part. I don’t like fishing them under a cork, so I just slow roll them through the zone. 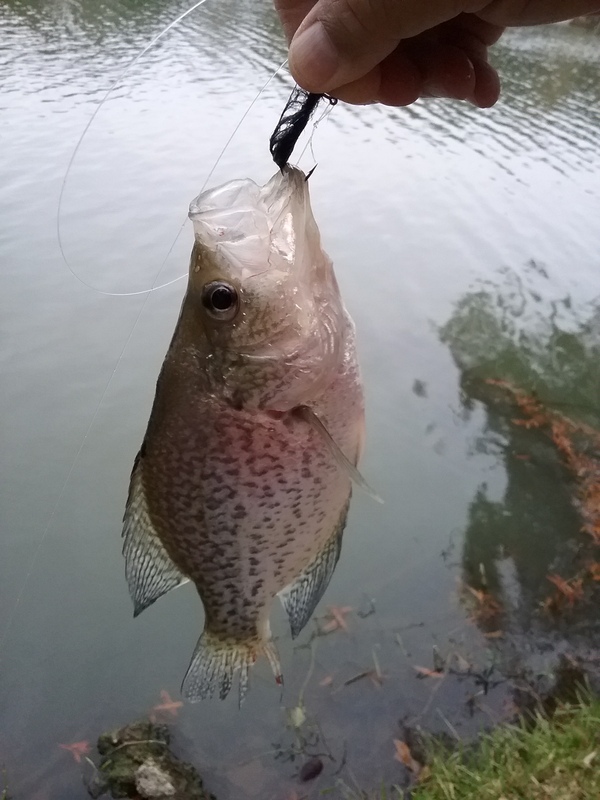 I prefer fly rods and reels over spinning tackle for Crappie when they get shallow. 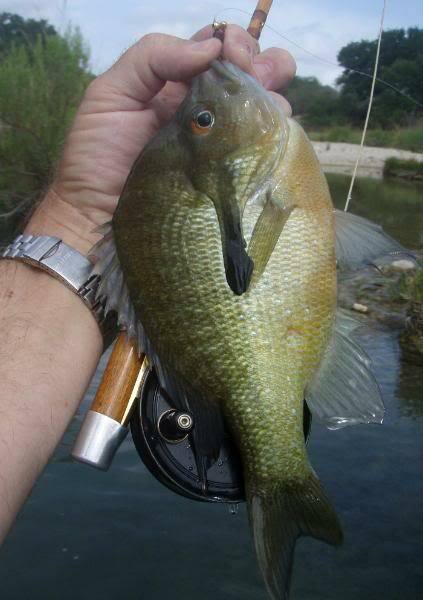 Panfish jigs work here on the lake and in other water like the San Saba River and are simple to toss with a fly rod. 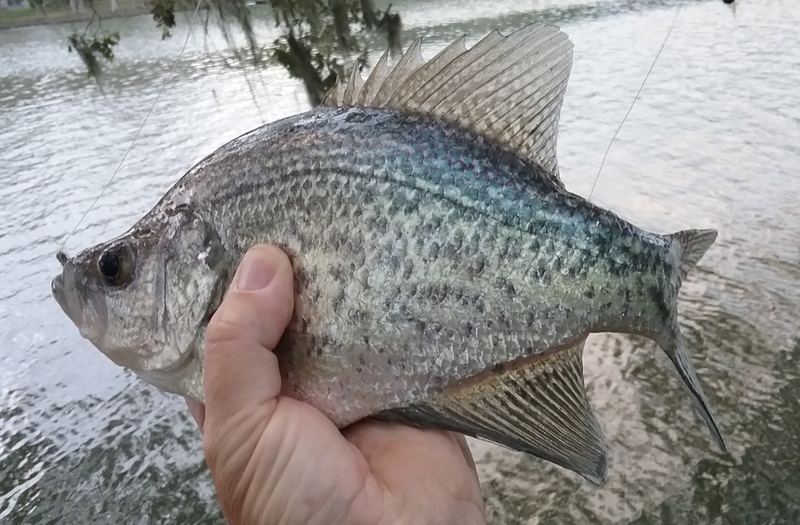 I don’t really like fishing deep so I don’t go for Crappie when they are down deep. I catch and release the ones I get. I like saltwater fish more for the table. 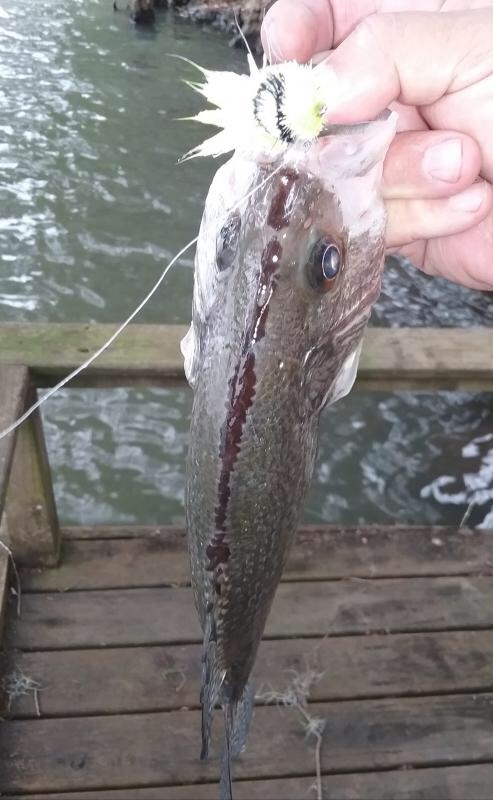 Ron Mc wrote: I've caught quite a few on fly rod and tiny whistler (blue is the color for night) on Grainger and L. Georgetown - also from a sailboat anchored overnight in a cove on L. Travis. The boat always drew them up. only if you make it that way. The trick is to apply it as fishing rather than casting. 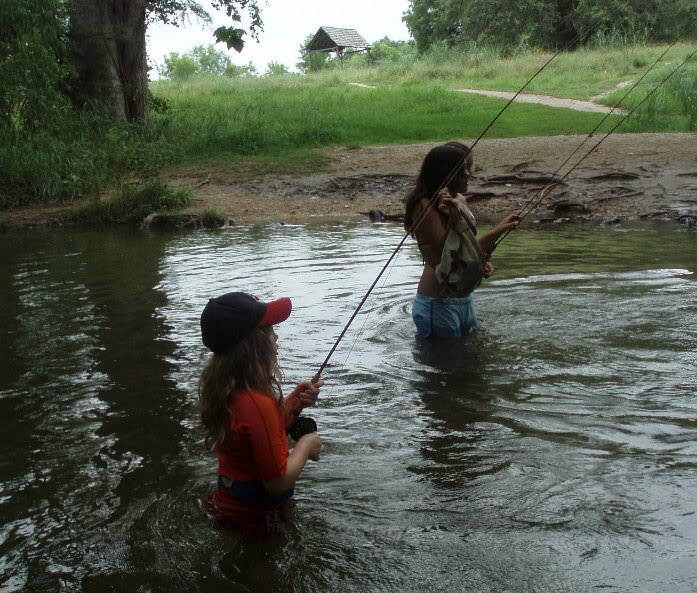 The most important thing to learn is roll-casting, and you can't do that until you get to the water. Girls are naturally much better at it than boys. 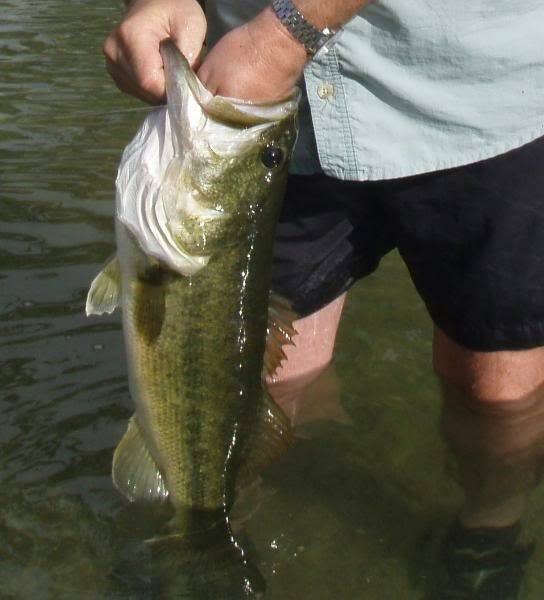 Any time you're fishing in close, it has a huge advantage over casting weighted lures. When I was on the outside looking in, fly fishing looked frustrating to me as well. Fly fishing might be a little frustrating at first. There’s things like how to manage the loose line and such to work out. It gets a whole lot better after a while. I’m having more fun fishing now than I ever have had and I give fly fishing the credit. There’s a lot of meat on the fly fishing bone and a lot of directions you can go with it. If you do take up fly fishing, it’s not like you have to give up fishing with the other gear or your fishing buddies that don’t fly fish. Nothing has really changed about where I fish or with whom since I picked up the fly tackle. I don’t belong to a fly fishing group or hang out with fly fishing people. Fly fishing is just another way to fish. Nobody else is saying, so I will. Crappies are boring. But they make good forage for fatso bass. Cuervo, you aren’t catching the ones with racing stripes. They call those the “bonefish of the freshwater”. 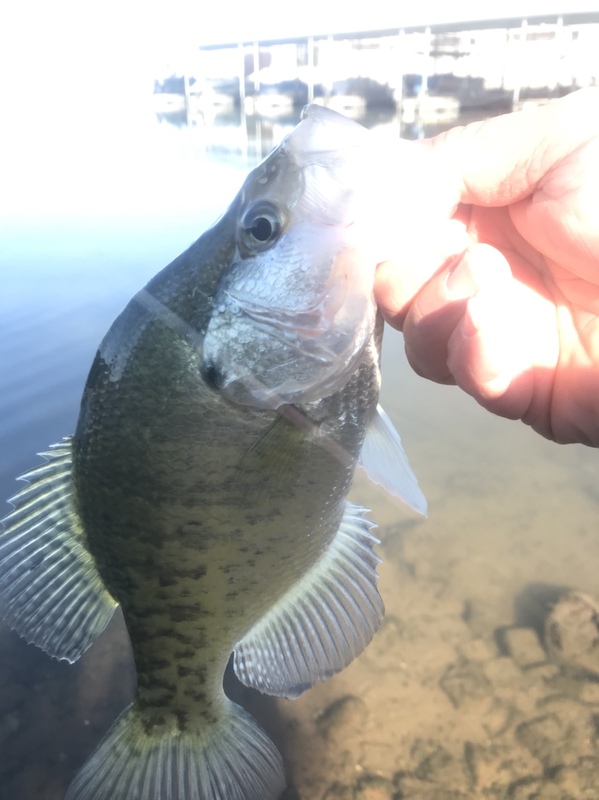 Crappie are showing up shallow once again. Those are pretty fish, Karst. 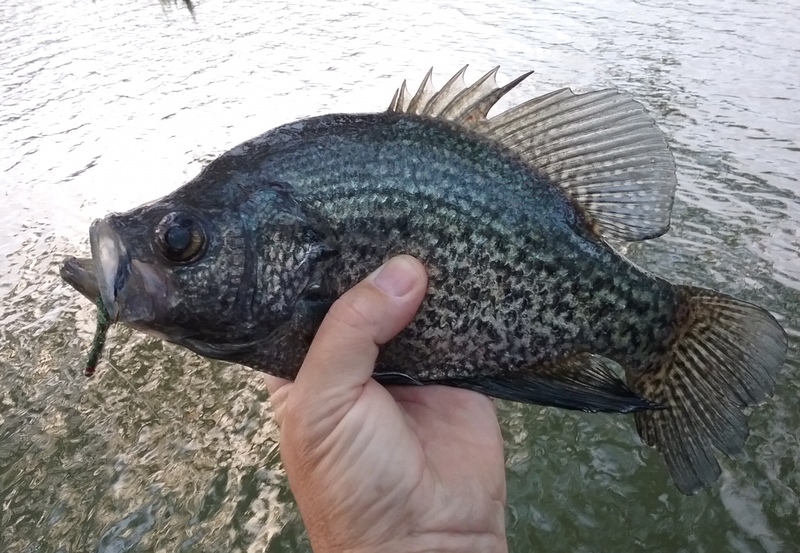 Last crappie I caught was about 200 years ago at Maple Lake in the Chicago suburbs. 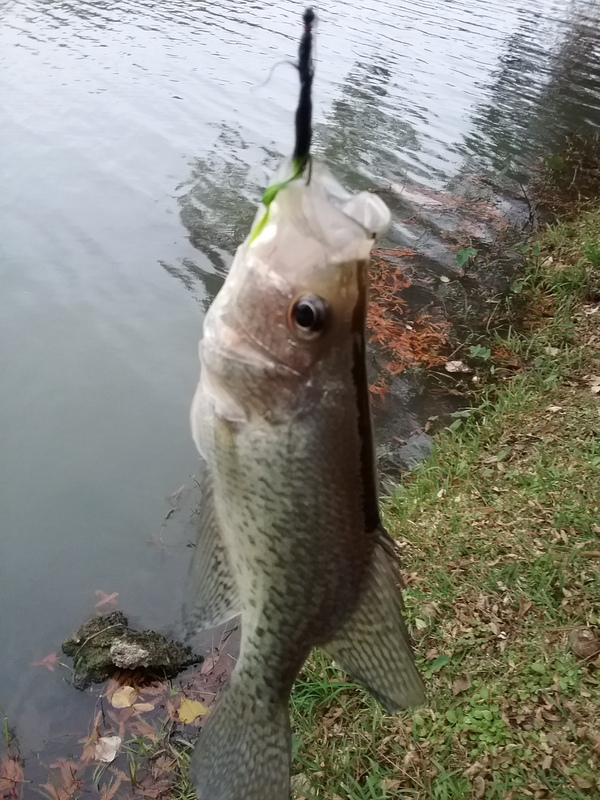 It ate a floating Rapala intended for my beloved bass. I have never forgiven his people for such an egregious transgression. I should also add the photo I posted isn’t my own, but stolen from Kayla Nevius. 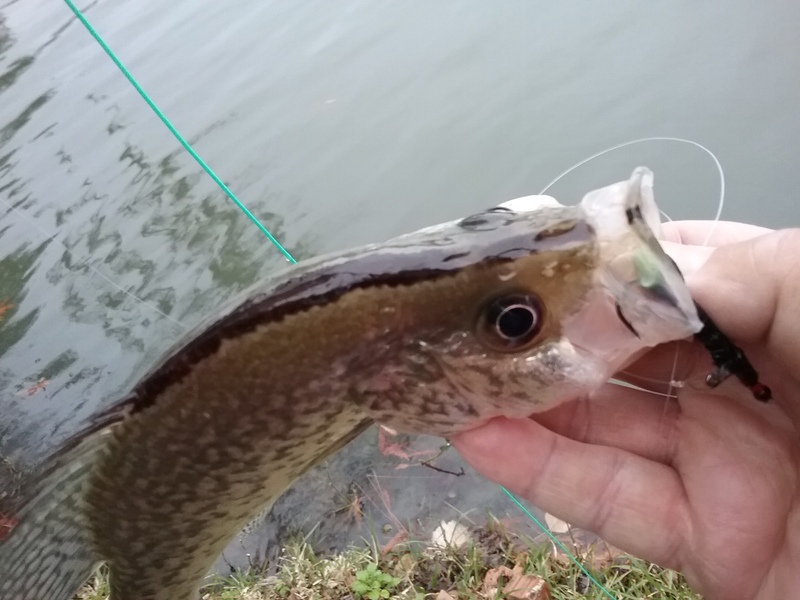 Sight-fishing a 5-lb bass in an oxbow at the Pedernales headwaters, a 14" yellow belly darted out and ate my cats whisker in front of the following bass. 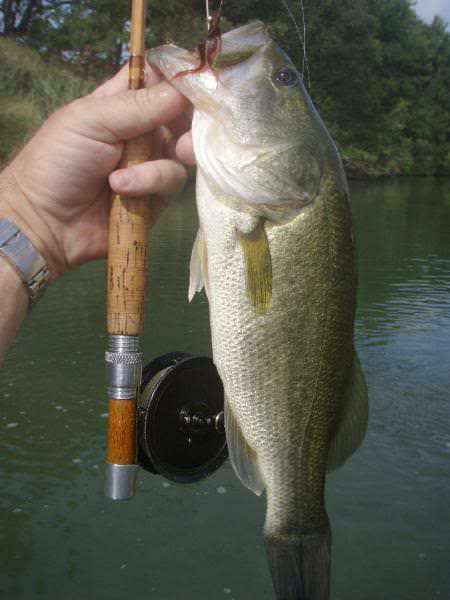 The whole time I'm fighting the yellow belly, so is the bass. 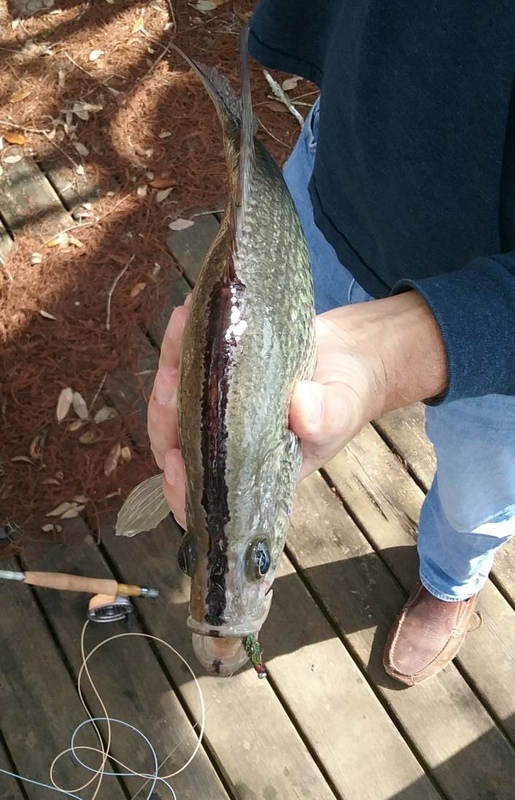 The bass sat down at my feet while I was handling and releasing the yellow belly. I daubed my fly and caught the bass. It was kind of polite of her to wait her turn.